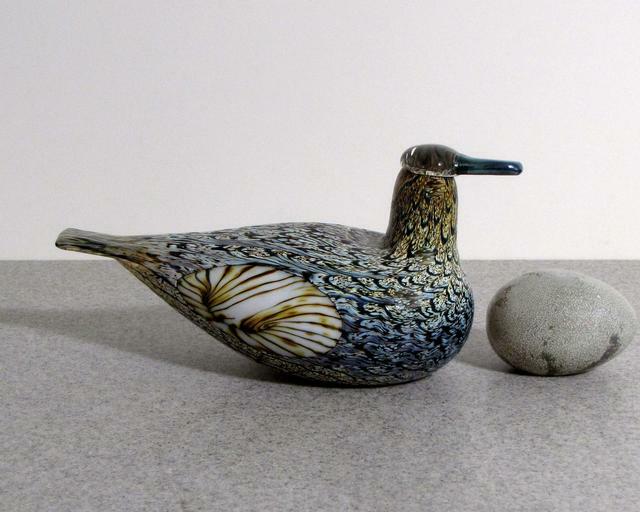 More about iittala Toikka Female Duck The Female Duck features unique patterns that cover the entirety of the body. 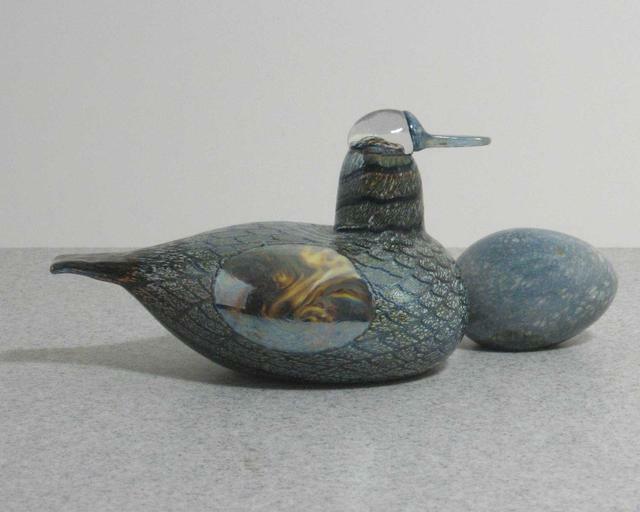 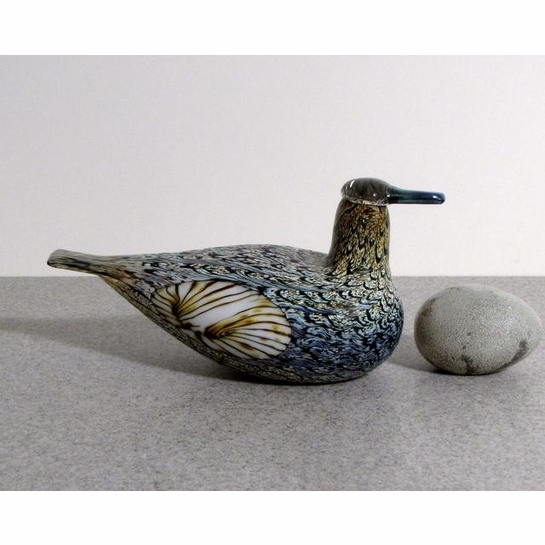 With hints of brown and blue with a luster throughout and a contrasting wing, the Female Duck is a beautiful demonstration of the fine art of glass blowing. 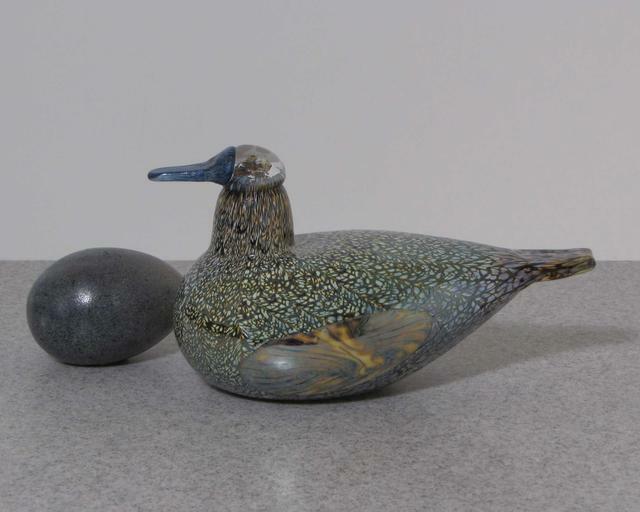 A narrower head, wings and a longer body help to differentiate the Female Duck from the Male Duck. 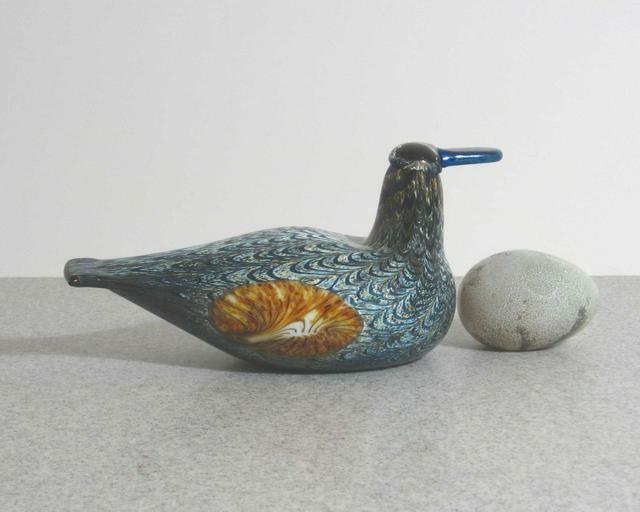 See secondary images for additional styles of the Female Duck.